New Story Series - Reefer Den Romps! Hey there! 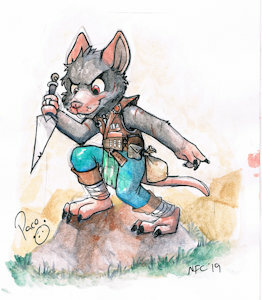 I'm Ket Messner, a 14-year-old mouse from Layleaux. I'm in ninth grade, I play midfielder for my school's soccer team, and I've been a Rodent Scout since before I even started junior high! I like hiking, sports, video games, and trying to stay out of trouble! Special shout back to a really cute young mouse scout!